Happy Valentine’s Day! Today I begin my 60th year on earth. In other words, I turn 59. I hope you’ll celebrate with me by joining in the giveaway fun. I have a prize bundle for one lucky reader. 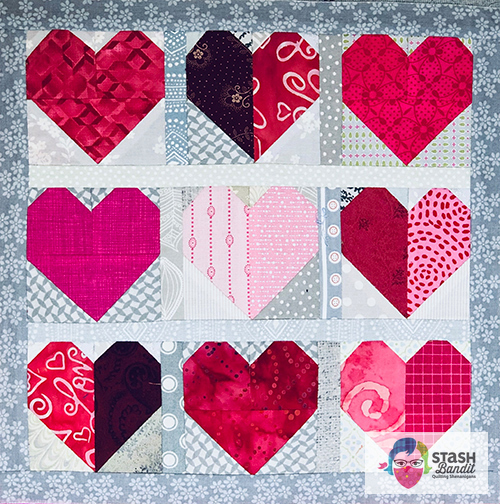 A little love quilt by Diane Harris, yet to be quilted. Click the image to get the free pattern with my compliments. 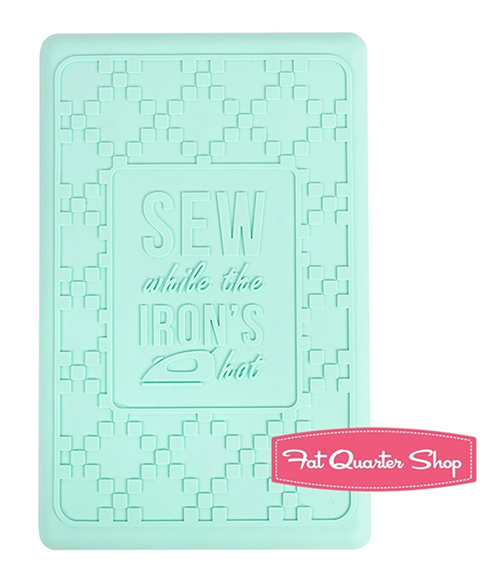 It includes a new product from the Fat Quarter Shop and It’s Sew Emma: The Sew Hot Iron Rest. 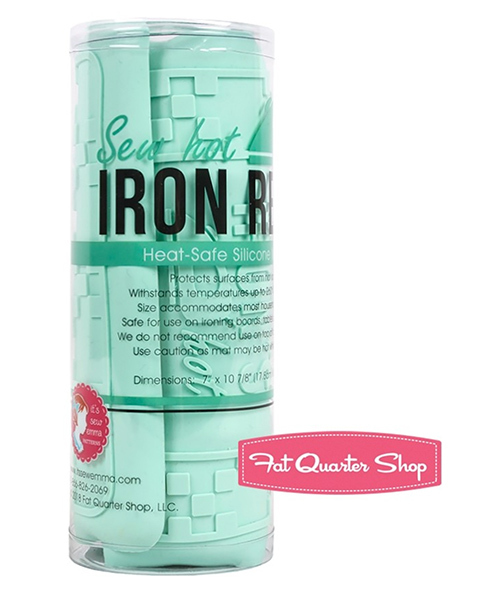 This mint green silicone mat is big enough for most home irons at 7″ x almost 11″. It withstands heat up to 500º F or 260ºC so you can leave your iron in the down position as you work. If you’re pressing a lot of patchwork (and who isn’t), it’s a timesaver. And I think it would be especially great if you have hand, wrist or shoulder pain or limitations. 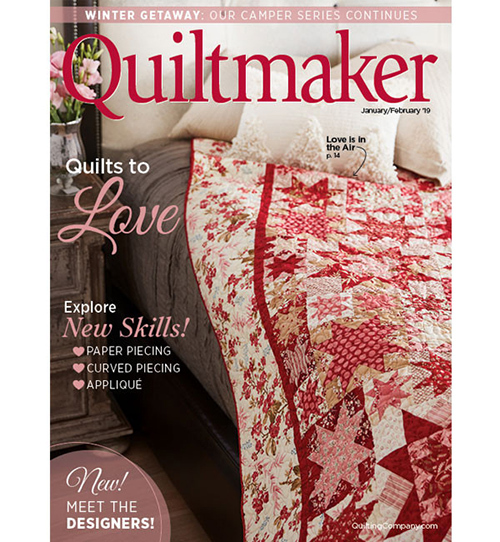 Along with the iron rest, I have the Jan/Feb issue of Quiltmaker (above) as well as the March/April issue (below). 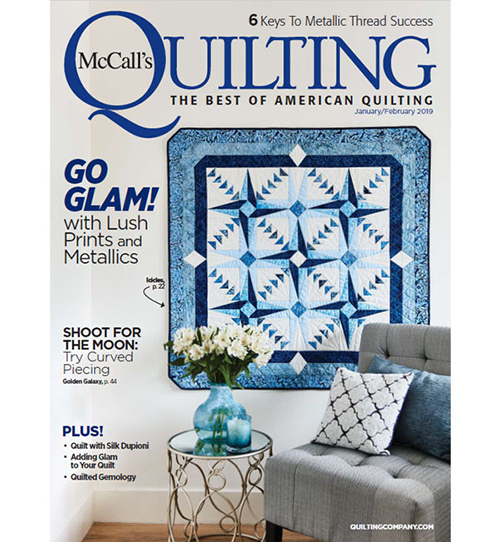 And in case that isn’t enough inspiration, there is the Jan/Feb issue of McCall’s Quilting, too. I support these titles because they support me, and often publish my designs. I appreciate that. While you’re here, please sign up for my newsletter so you hear about all the important giveaways, and there’s going to be a big one in the next few months. This is a special year for me and I’m going to share the excitement! To have a chance at today’s giveaway, leave a comment below before midnight on Sunday, Feb. 18. I’ll pick a winner on Monday, Feb. 19 and announce it here. Thank you for visiting Stash Bandit! The winner of the giveaway is Lori “spalady” and I have emailed her. Thanks for your comments. Watch for another giveaway soon! 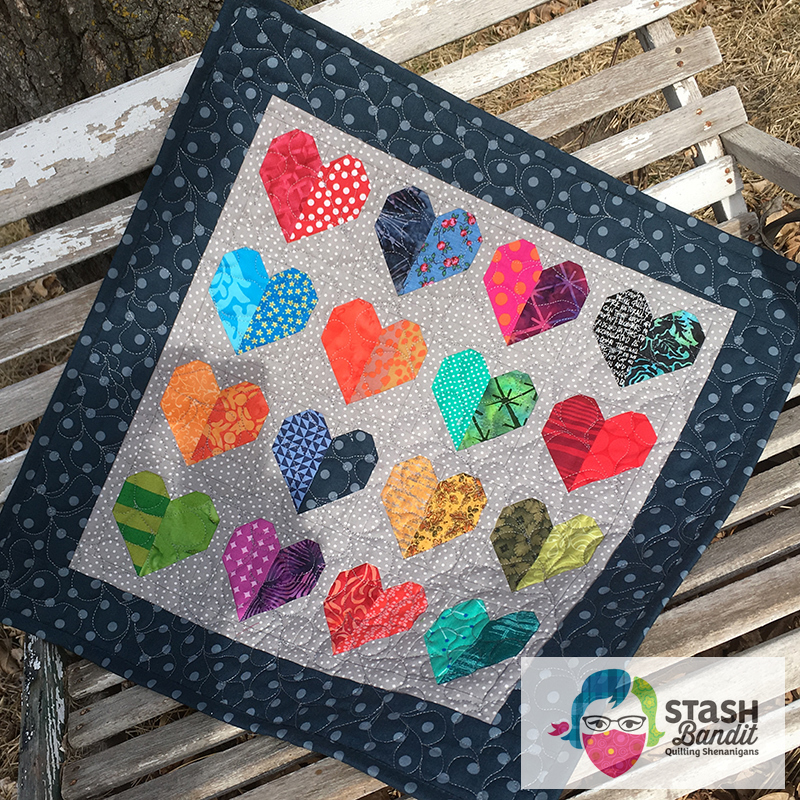 Get the free pattern for my little heart quilts! Learning to make a partial seam is easy! 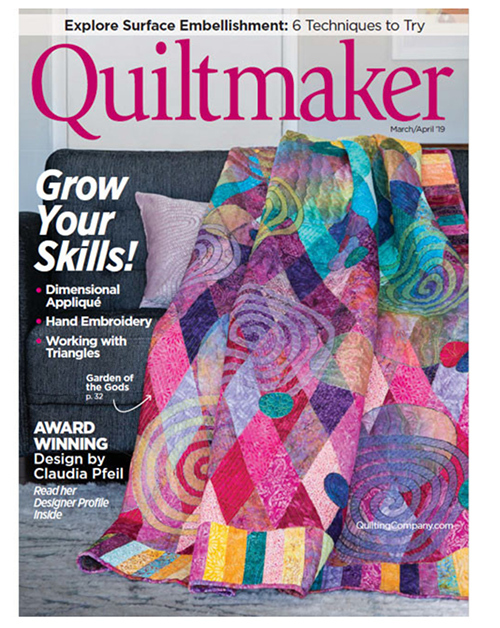 Partial seams strike fear in the hearts of quilters but it needn’t be. 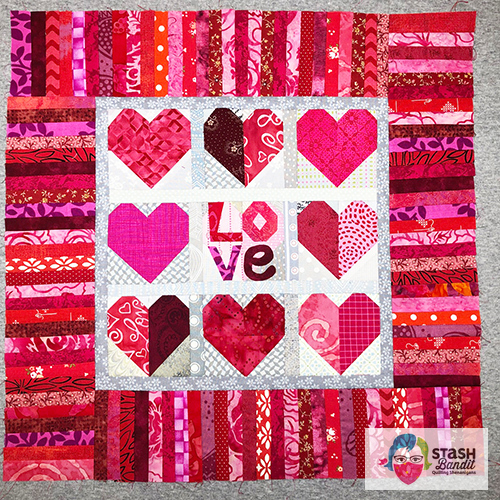 Let me help you understand the idea with a Valentine quilt I finished this week.